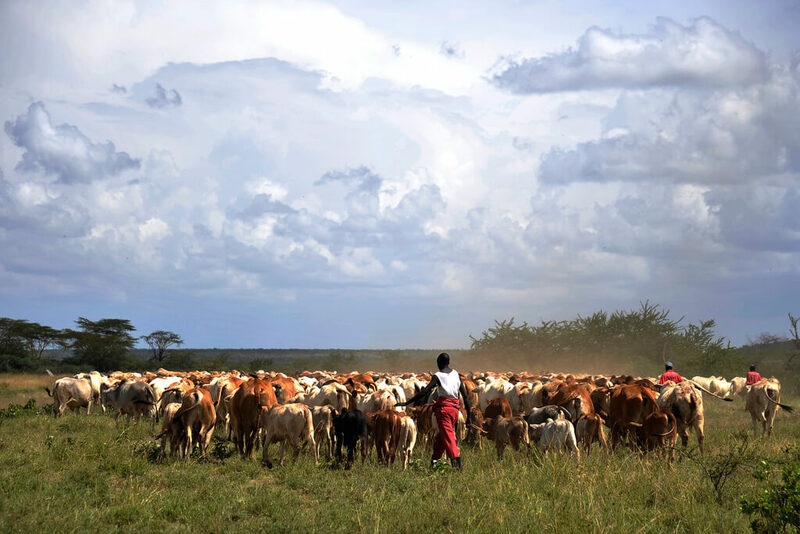 Herders with their cows in Laikipia. Photo by USAID made available under a Creative Commons license. Let’s begin with the article’s descriptions of the Laikipia landscape—”undulating savannah, forests, winding rivers, waterfalls, rocky hills and steep-shouldered escarpments. The land is home to elephants and rhinos, giraffes, zebras and antelopes, wild dogs, bat-eared foxes and lions.” It was here, the article continues, that “white, often British, settlers came to farm wheat and raise cattle during the first half of the 20th century, before independence. ” The ahistoricism of the description is jarring. It suggests that Laikipia was a terra nullius, an empty, unclaimed vastness waiting for someone to put it to good use. This, of course, is not the case. Due to the current violence, McConnell’s article reports, some ranches have closed and some owners are considering selling. But others, Gallmann among them, are hunkering down. “They are going to get tired of it,” she says. “I know I will outlast them. There is no doubt in my mind.” “They”, meaning the impoverished local Pokot militiias encroaching on “the environment”. They will get tired. Kuki Gallmann will outlast them. This article was originally published by Global Voices. It has been re-published at IC under a Creative Commons License.